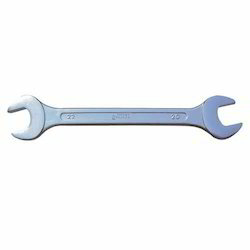 Our clients can avail from us a wide range of Spanners, which are available in a wide variety. These spanners are made of high grade steel and meet relevant quality standards. They are offered at highly affordable prices. 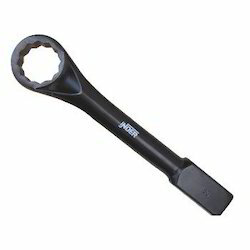 We offer Slugging Ring Spanners. 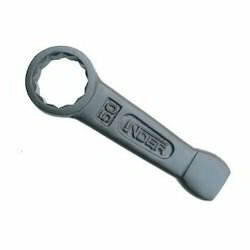 They are heavy duty drop forged ring slugging spanner specially designed for very heavy duty work. They are durable striking end gives extra utility while tightening and loosening with hammer. These are provided in different specification. 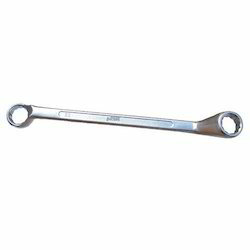 We offer a high grade range of Deep Offset Ring Slugging Spanners. They are specially designed for very heavy duty work. Its durable striking end gives extra utility while lightening and loosening with hammer. These are provided in different specification to meet the diverse requirement of client. 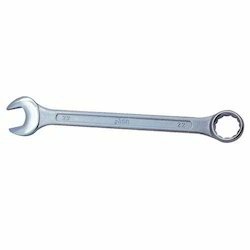 We offer a wide range of Open End Slugging Wrench Spanners. 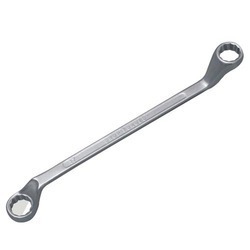 They are heavy duty drop forged open ended slugging spanner (DIN-133 as per ISO :Open End Slugging Wrench Spanners 4508 : 1992 (Reaffirmed) 1997) with amendment no.1 is specially designed for very heavy duty work. Their durable striking end gives extra utility while tightening and loosening with hammer.